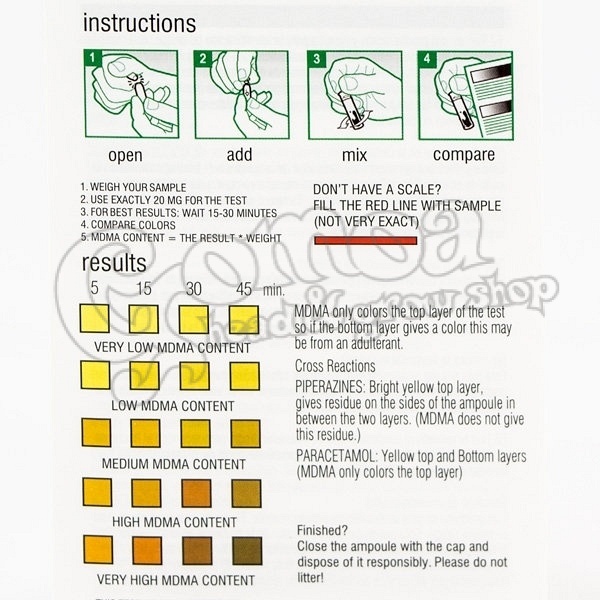 The MDMA Purity Test enables you to quickly get an idea about the purity of the MDMA. Just add 20 milligram of the sample to this test and you will have a result within seconds. 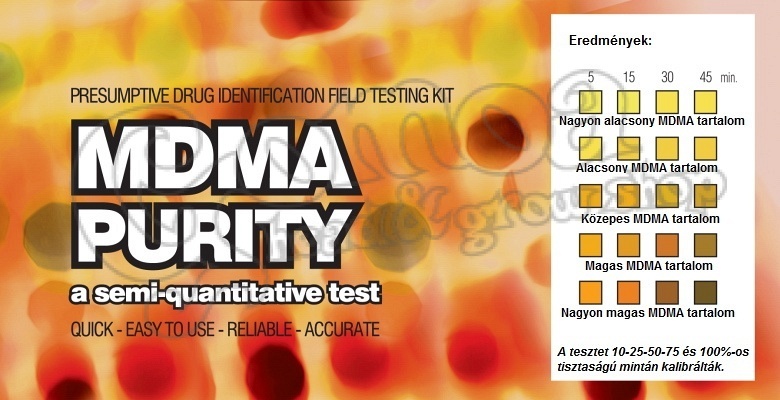 EZ-Test presumptive drug identification field testing kits are NON diagnostic tests (not for medical use) that are sold worldwide to police, customs authorities and the general public. EZ Test neither condones nor condemns the use of any drug, but recognises the fact that illicit substances will be used regardless of their illegality. There is no such thing as safe drug use!